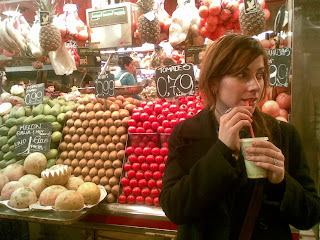 The reason I didn't post for a while is cause I ran away to Barcelona to visit my sweet hubby. 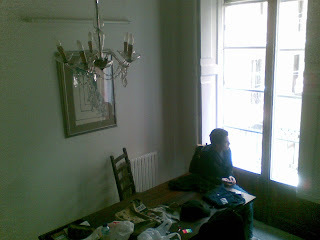 Would have stayed much longer, wallowing in domestic bliss, but it turns out there's a big audition this saturday that would have been really stupid of me to miss. Wish me luck! 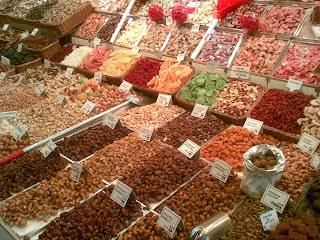 but then it also has frutos secos people that made me feel like I was in the Spice Bazaar in Istanbul. 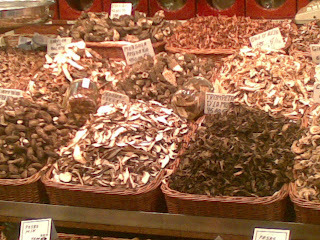 Look at these dried mushrooms! And the fruit guys were what really killed me. 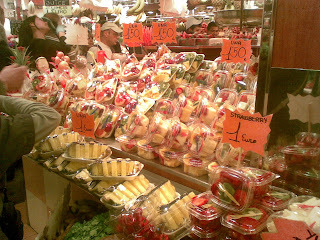 In addition to regular fruit stand-type stuff, they have tons of pre-cut packaged fruit to grab as a snack - brilliant! And some of it's crazy. 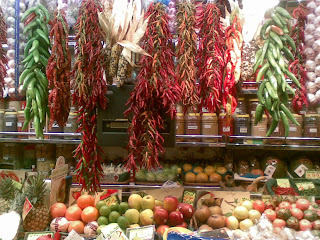 Is Barcelona in the tropics? Did I miss a geography lesson somewhere along the line? I mean, seriously, what is this?! But the best, really the best, is the juice. 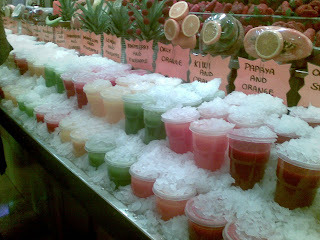 This place had 25 flavors, and yes, they had the usual strawberry banana and orange carrot, but then they had all these crazy ones too. Look how weird those colors are! 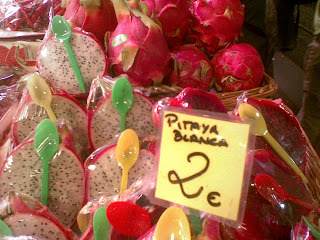 that pitaya looked so weird, i googled it. here's a great picture of the plant? tree? bush?